The 2017 Consumer Electronics Show kicks off this week in Las Vegas, with an increasing number of automakers using the show to showcase their latest technological innovations. 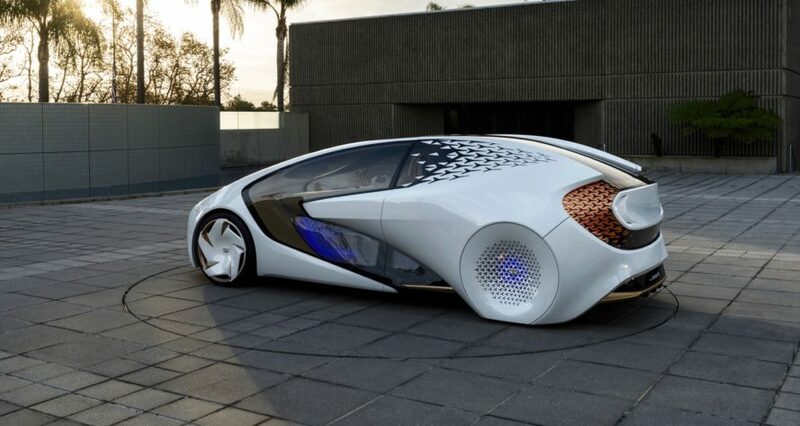 This year, Toyota is giving the world a look at the future with its Concept-i vehicle which can not only drive itself, but also uses Artificial Intelligence to build a relationship with the driver. 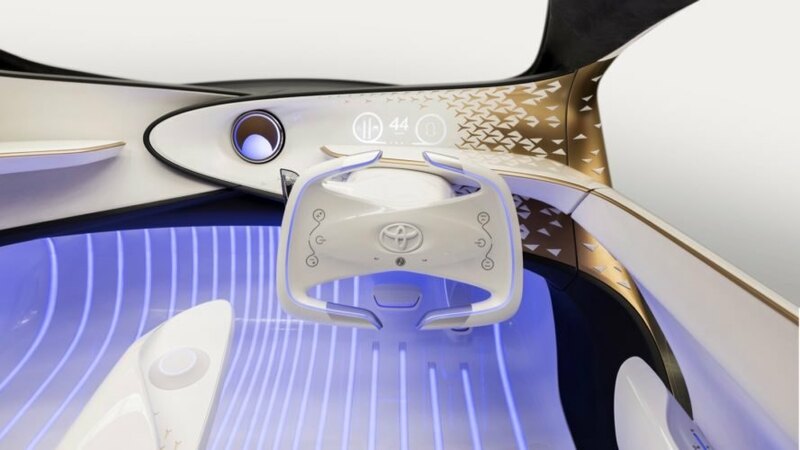 According to Toyota, the Concept-i is designed from the inside out to give the vehicle a warm and friendly user experience. While its interior looks spacious and inviting, the more significant part of the Concept-i is its advanced artificial intelligence system that builds a relationship with the driver that is stronger than learning driving patterns and schedules. The Concept-i is designed to use multiple technologies to measure emotion, mapped against when and where the driver travels around the world. In addition, the AI system uses advanced automated vehicle technologies to enhance driving safety. Under certain conditions, drivers will have the choice of automated or manual driving based on their personal preference, but the Concept-i also has the ability to fully take over if the driver’s engagement declines. The system monitors driver attention and road conditions, with the goal of increasing self-driving support as necessary. The warm and friendly part of the Concept-i starts with a next-generation user interface that serves as a platform for the vehicle’s AI Agent, nicknamed “Yui”. Instead of displaying important information on a digital screen, Yui uses lights, sounds and even touch to communicate critical information. Colored lights in the foot wells indicate whether the vehicle is in automated or manual drive, projectors in the rear deck project views onto the seat pillar to help warn about blind spots and a next-generation head up helps keep the driver’s eyes on the road. 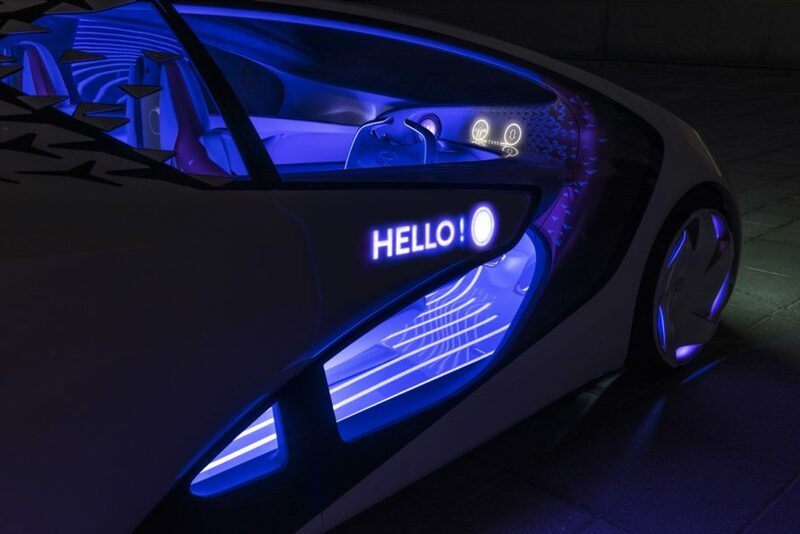 The Concept-i’s exterior also displays information, like “Hello” to greet the driver and passengers as they approach the vehicle. The rear of the concept communicates to other drivers about upcoming turns or warn about a potential hazard, while the front communicates whether the Concept-i is in automated or manual drive. Toyota hasn’t announced any production plans for the Concept-i, but Toyota does expect to start on-road evaluation within the next few years in Japan. 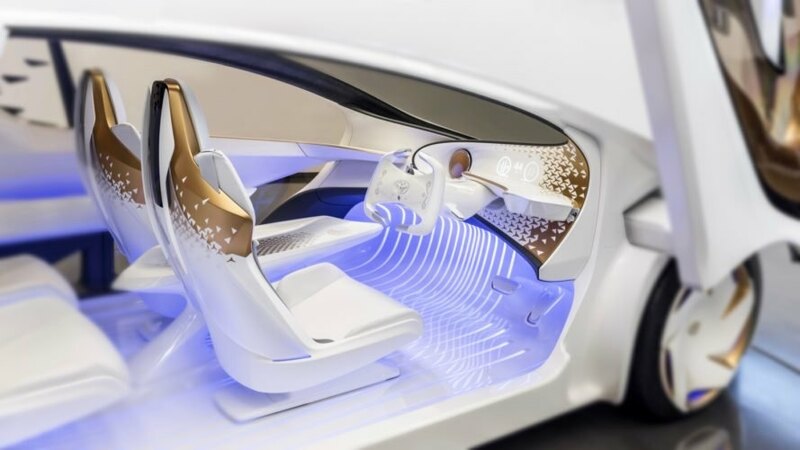 Toyota has unveiled its new Concept-i vehicle that can not only drive itself, but also uses AI to build a relationship with the driver.